If you like adventure lodging, Cherry Wood “Bed, Breakfast, and Barn” might be just your kind of place! It’s not everyday you see a Teepee, much less stay in one overnight. The Teepees at Cherry Wood in Zillah are more “Glamping” than camping with stone floors, electricity, nice beds, and a few basic amenities. The gorgeous setting amongst the vineyards and orchards is serene and enchanting, and you’ll want to share your pictures on Facebook as the place is just too cool to keep to yourself. Horse lovers will enjoy the “western” feel of the place, with an interesting array of unique horses, many of who are on property as rescues from your compassionate host “Pepper” who is an avid advocate of saving horses. The Western feel is both romantic and gritty, so be prepared for not only the beauty of the horses but an occasional whiff of them as well. Mannerly dogs that don’t bark a lot are welcome and they provide a kennel for your furry friends if you are out wine tasting. The teepees have fans but no air conditioning, and when asked about it Pepper says she knows this may not be the right fit for the caller inquiring about a place to stay. On a very hot or very cold day, this could be a bit more than some bargained for, but with nice weather between 70-85 degrees the setting would be hard to beat. Showers are outdoors as are the sinks, and the honey buckets are creatively camouflaged behind old barnwood fencing. Enjoy a hot bath alone or with 2 others under the stars in a cozy private area – the set of 3 antique outdoor clawfoot tubs can be reserved by putting your name on a chalkboard. But while the rustic element of bathing is maybe a little much for some, there is a modern restroom complete with everything you need just a few minutes walk to the Bunkhouse. Should the weather permit, nearby winery tours are available by horseback or by a “country limo” – a 4×4 that pulls a trailer filled with hay and your friends. And why else would most be in Zillah anyways other than to visit the nice array of small boutique wineries. A can’t miss stop is Pepper’s sons’ winery, Cultura. Meet the charming couple Tad & Sarah Fewell and taste a great lineup of wines just around the corner from Tad’s Mom’s place. With at decent group of wineries close by in the Rattlesnake Hills area, don’t miss J Bell Cellars and Dineen Cellars while in the area! Your host Pepper Fewel is a salt of the earth kind of woman, who will do her best to keep you happy along with the Trail Boss, her daughter Tiffany. But remember this is a working farm, not a B&B that pampers spoiled city folk. Yes, it’s a B&B in true form though, complete with a stiff cup of coffee and hot cowboy breakfast. While the Cherrywood BB&B is really about a cool, off-the charts off the beaten path kind of experience for a couple or group of friends, it can also the location of group retreat or corporate team building experiences utilizing the horses, with or without lodging. Get your whole group to stay here in all of the teepees for an unforgettable bonding experience. Click here to see pics of this amazing & surreal setting. While staying in a teepee is not for everyone, I guarantee if you give it a try you’ll never forget the experience! According to Wine Spectator, a team of researchers at U.C. Irvine believes they have developed a method to sniff out counterfeit wine without opening the bottle. Since 2004’s Sideways made a star of domestic Pinot Noir, the U.S. has planted nearly twice the acreage of the finicky grape. But can a good bottle be had for under $40? Lettie Teague finds several in the Wall Street Journal. On ilovewine.com, 9 experts (including David!) reveal their picks for best wines under $30. In Grape Collective, Christopher Barnes explores the political troubles and the incredible potential of Turkish wine. Rachel Signer explains why Gamay is a sommelier’s secret weapon in Eater. Sasha Paulsen reviews Richard Peterson’s memoir, The Winemaker, in the Napa Valley Register. In Le Pan Magazine, W. Blake Gray on “Napa’s unsung varietal” — zinfandel. 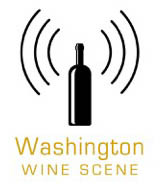 Dave McIntyre thinks you should get to know Georgian wines in the Washington Post. Copyright © 2015. Originally at Wine Reviews: Weekly Mini Round-Up For August 31, 2015 from 1WineDude.com - for personal, non-commercial use only. Cheers! Un-Cruise Adventures has put me in charge of a daily wine program of my design and I also selected Washington State and Oregon wines for my fellow passengers to enjoy during my (low-key) instruction and throughout the journey. Looking forward to a lot of questions, camaraderie, and time on the water. And in Cannon Beach, Oregon, we’ll be visiting The Wine Shack. Stay tuned for updates on social media. Follow me on Facebook, Instagram, and Twitter. I may break out the Periscope as well. The post Un-Cruise Adventures: Guest Host on a Wine-Themed Voyage appeared first on Jameson Fink. People make wine in all 50 states. You’ve probably heard this before and thought: Yeah, but how many states produce wine worth buying and drinking? California, Oregon and Washington State lead the pack, of course, and wines from New York and Virginia have been showing great stuff for many years now. So, which state is next to prove itself to the broader American palate? Michigan is home to some exciting vino. Missouri has been a key player in the history of American viticulture. And I’m a big fan of wines from some high elevation vineyards in Arizona. New Mexico, Texas, Maryland — the patriotic palate has plenty of options. I’m sure Idaho winemakers have heard similar comments more times than they care to remember. It can’t be easy convincing the average American wine drinker they should consider shelling out money for a wine from a state they know little about and have probably never visited. But if you shelve any preconceived notions and actually taste the wines, you may be surprised. Idaho wine isn’t new, but it’s growing. In 2002, the state was home to just 11 wineries. By 2014 that number had grown to 51, according to the Idaho Wine Commission. These wineries produce more than 200,000 cases of wine a year, but that amount doesn’t even put Idaho in the top ten states in terms of production. (A bit of perspective: Ohio, the tenth-largest wine producing state, churns out about four times more wine than Idaho, according to Wines Vines Analytics.) So it’s understandable that Idaho wines don’t get much recognition on retail shelves or placement on restaurant lists outside of the immediate area. Most of the states wineries are located in the Snake River Valley, southwest of Boise. In 2007, the Snake River Valley became the state’s first American Viticultural Area (AVA), an area that includes parts of eastern Washington. Several Idaho wineries in the Willow Creek area (a more hilly and rugged region) applied for their own AVA status in 2013, but that AVA is still pending. I’d tasted a few Idaho Rieslings before, but this mixed case was my first real introduction to the state’s wines. And, I have to say, they make a good argument that Idaho wines should be taken seriously. I appreciated the freshness in a lot of these wines, and many of them have moderate alcohol levels. Also, the price points are generally quite attractive. If I have an overall concern about this lot, it’s the overreliance on new oak. Much of the underlying fruit seems solid, but too many of the nuances are overpowered by toasted barrel scents and flavors. Still, if this batch is any sign, there’s a lot to explore in Idaho. Episode 290 of I'll Drink to That has been posted, and it features Christy Canterbury. Christy is an MW who writes on wine topics for various publications, does speaking engagements related to wine, consults for restaurants and retail, and participates in wine judging competitions. She is based in New York. This interview covers a lot of ground, as Christy has worked in several different areas of the wine business. She recalls, for instance, the major push by retailers into high end wines that followed the last big financial downturn. Why the move into the expensive wines from retail when the financial markets were in decline? The answer is simple if you were looking at it from her perspective on the inside of that market: high end consumers were fleeing restaurants markups on top wines, and instead purchasing them at retail. At the same time, more wine was available for purchase by retailers, as the restaurant buyers were in retreat. This is exactly the kind of insight that you don't get unless you ask someone who was there and was a buyer at the time. There is also a discussion of Christy's experiences preparing for the Master of Wine exam, a process which took her 7 years, and cost her an estimated $60,000. Does that seem like a lot of time or a lot of money? Maybe something to consider if you yourself are thinking about pursuing an MW. And the interview also discusses Christy's role as a restaurant group wine buyer for outfits like Culinary Concepts by Jean-Georges and Smith & Wollensky. What are the attributes and skills necessary for a national level buyer? Christy comments on that, in addition to providing some advice to those who might be doing such work. But maybe most fascinating was the conversation about Christy's time spent working as a female American sommelier in Muslim countries like Qatar and Turkey -- an entirely other world that it is hard to even imagine without talking to someone who was there. And Christy was. Listen to the stream above, or check it out in iTunes. The post Exploring Mount Etna Wines via Planeta appeared first on Jameson Fink. Weekly Interview: Aurelio Montes, Jr.
Each week, as our regular readers know, we pose a series of questions to a winemaker. This week, we’re featuring Aurelio Montes Jr., the head winemaker at Kaiken Wines in Mendoza, Argentina. Kaiken is a branch of Montes Wines. Some of our readers may recall that we have interviewed the chairman of Montes Wines, Aurelio Montes, who is this week’s interviewee’s father. This interview provides an important insight into a significant winemaking family. 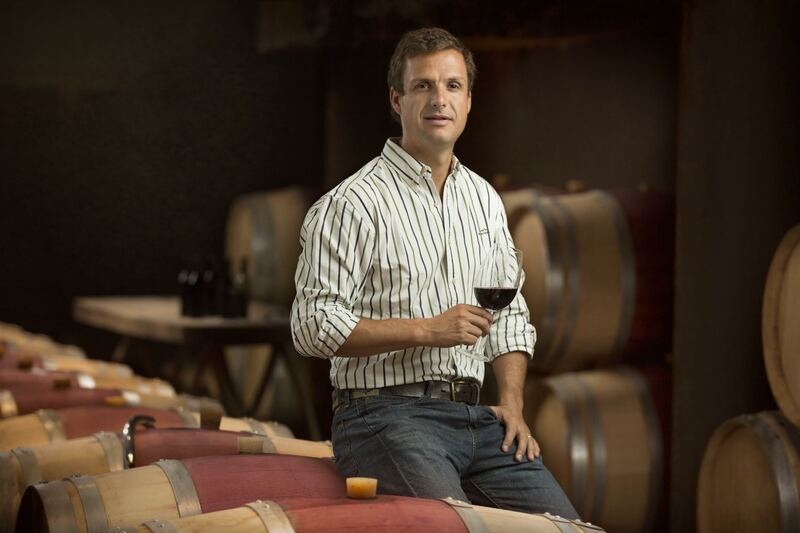 Below, we ask Aurelio Jr. about the influence of his father on his winemaking. Aurelio Jr. is not, however, a home-grown winemaker. Instead, he traveled across the country to work at many wineries not affiliated with Montes Wines before he returned to the family business in 2007. It’ll be interesting to observe the next generation of wines from the Montes family. Check out the interview below the fold! Let’s start from the beginning. Where were you born? My family comes from different places around the world. From my mother’s side they came from Spain, and from my father’s side they came from England. But all of them came to Chile many years ago. I was born in one of the most beautiful cities of Latin America — Santiago of Chile — as were my father, mother, and siblings. Winemaking has been always been a part of my life, through my father and my family. Growing up, I understood that being a winemaker wasn’t easy. There is a lot of work, traveling, being away from your family and friends for many days every year, but at the end, it is a life of passion. That is what seduced me. I studied winemaking at the Catholic University of Chile, the third most important university in Latin America and #1 in agriculture and winemaking. When I finished my studies, I decided to travel around the world to learn more about winemaking. The first place that I chose was Australia, because it was a country new in winemaking but very aggressive in the way of making wine – a great learning experience. There, I worked at a few wineries, such as Rosemount Estate and Cape Mentel. Then I went to the United States because I loved Napa and its passionate atmosphere of winemaking. In the year 2000, I worked at Franciscan Estate. When I returned to Chile, I decided not to work in the family winery, as I wanted to develop my skills further. Ventisquero Winery opened their doors to me, and it was an absolutely great experience. In the year 2007, I joined our family winery in Chile, Montes Wines. After a few years there I moved to Mendoza, Argentina, to oversee Kaiken Wines as the Head Winemaker. Kaiken is part of Montes Winery. There are many ways how you can look winemaking. For me it is not only a beautiful work, but also a lifestyle. Making wine is not only trying to make a good bottle, it is also working to express the pure and real terroir. My main motivation is terroir, quality, and taking care of small details. How would you describe the influence of your father on your winemaking philosophy? He has been INSPIRATIONAL. Since I was a child, I would go along with my father to the wineries. He showed me the good and the bad things about this world, and how big your passion for winemaking should be if you wanted to make your own special wine . He showed to me how to create good wines with passion and commitment, and explained the meaning of quality and terroir. Every day I have different challenges as a winemaker. There’s so many new places to discover, so many new varieties (for me) to taste, so many places to visit, and so many wines to try. On the other hand, the world changes day by day, faster and faster, so you need to understand the direction of the world. One of my biggest challenges is to find a special terroir and to be able to express the essence of the place through a bottle of wine. There are many winemaker that I admire. Of course my father is one of them, and others include John Duval and Miguel Torres. In general, I admire any winemaker who has the courage to challenge themselves and the world, going beyond the limits. It is very easy to make a wine; it is very difficult to make a special wine. What’s your favorite wine region in the world – other than your own? For me my number one place is Burgundy, and then Tuscany. Both places have all that I love: passion, history, culture, and of course very good wines. There is one thing about these places that may sound simple, but is very important — both places are so beautiful it makes you happy when you are there. Vega Sicilia 1962, not because I think it was the best, but it was the most interesting. That wine showed me a piece of history of Spanish viticulture, and also I sensed the essence of the terroir, unique and elegant. In my cellar there is one rule, “every day is a good opportunity to drink a good bottle of wine.” So I have a good collection of wine, but I drink all of it every year with my friends. So I buy all the time wine from different places of the world. My oldest is a Montes Cabernet Sauvignon 1987, which was the first harvest ever of Montes! Nothing because I just drank it all. I open every day a new bottle of wine. Life is too short! Red will be Malbec, and white will be Chardonnay. YES, beer is part of the history and culture of every winemaker. After a big day of wine tasting, a good bottle of beer is the best! I’m not producing my own beer but it will happen soon. I’m the kind of person who loves to squeeze every part out of his day. Even on my days off, I wake up early, 7:30 a.m., and I go for a run. After that, normally, we take a few thing and we go for a picnic in the mountain or sometimes in the park. We don’t like television, we have our natural television when we go out and see how life moves. Also it is very common for us to organize a big BBQ with friends and family. At BBQs, we eat 2.2 pounds of meat per person, we drink a lot of wine, play soccer, and have fun. That I love to skydive! Without any doubt, drinking wine and having some work related to nature. I love to be outside, smelling nature and working with the environment. Being happy, being able to reach my goals in life. Having time to enjoy all that I have built (family, friends, wine, etc. ), and being able to travel and to meet people around the world. The Oxford English Dictionary has entered the term “wine o’clock,” reports Tyler Colman. “Though it’s not exactly her intention, Ms. Heekin and her La Garagista wines demonstrate that wines made of hybrid grapes can not only be deliciously satisfying but can also show a sense of place.” In the New York Times, Eric Asimov visits La Garagista in Vermont, and finds hybrid grapes that stand up to Vermont’s elements. As top-end producers in Napa push the severity of their selections to ever more extreme limits, Kelli White wonders in the World of Fine Wine if they might be going too far, sacrificing individuality, complexity, and balance for concentration, softness, and purity of fruit. Experts at UC Davis discuss wild or native fermentation, and other yeast issues in Wines & Vines. Forbes’ Cathy Huyghe talks with an Amazon wine executive about analytics, pricing, commoditizing, and more. Single critic opinions of panel tastings? Jamie Goode wants to know which is best. Lily-Elaine Hawk Wakawaka attends a four vintage vertical tasting of Langmeil Barossa The Freedom 1843 Shiraz and shares her thoughts. A new wine book on China’s rapid emergence on the fine wine scene – and its sudden retreat – could make uncomfortable reading for several classified Bordeaux chateaux, writes Jane Anson in Decanter. In Entrepreneur, Tracy Byrnes wants to know how much you should tip on a bottle of wine.